← Happy World Nutella Day! It’s winter, and I want stuff. As you can see I am in a very white and gold kind of mood with maybe a splash of pink for Valentine’s day. My husband would kill me if I bought these pillows and maybe even that sparkle shower curtain but it only makes me want them more! 1. These adorable mugs are DIY if you can believe it! All you need is a little spray paint, plain mugs and some tape. Talk about fighting winter boredom! Find the how-to here at Love, Design and Sunshine. 2. These SAWEET playing cards would be perfect for the bar, or for the coffee table. I had an impossible time finding any site that still sells these. They seem to sell out everywhere. You can find these HERE. 4. I am always down for a good tray. I have quite the collection of them and I am always looking for good designs. It is one of the easiest ways to freshen up a space. I found these in an adorable Etsy shop. They come in a pair. Twice as nice! 5. Another DIY project! Believe it or not these adorable pillows are pretty inexpensive and they have a free printable for the stencil. Nice! Get it HERE. So, what are YOU wanting this winter? Loving all your picks! 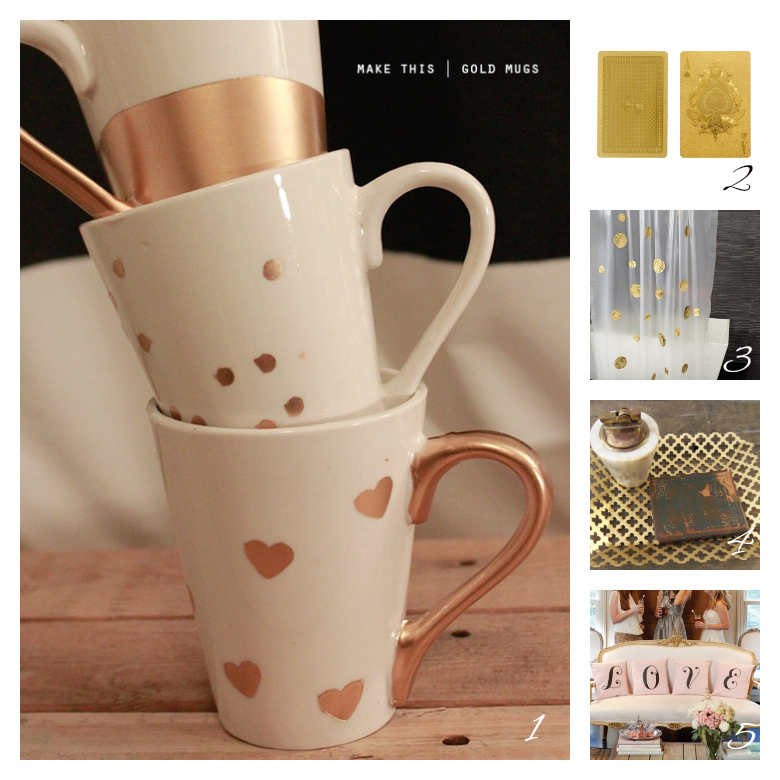 The shower curtain and mugs are our favorite! Jess, you MUST teach me how to do layouts like yours! Maybe instead of a “craft day” you can teach me, says the girl who does online advertising for a living, ha!